On the latest episode of 'KUSC Interviews' Jim Svejda interviews John Williams to discuss his amazing work and his most recent work on Star Wars: The Last Jedi and The Post. He did hint that Episode IX will be his last for the Star Wars franchise. “We know J.J. Abrams is preparing Star Wars: Episode IX now, that I will hopefully do next year for him. I look forward to it. It will round out a series of nine. That will be quite enough for me." He also revealed that they recorded a total of 184 minutes of music for The Last Jedi and the movie came in at 2 hours 32 minutes so I wonder if we'll ever get to hear that unreleased music? I suspect we will. Williams talks about Carrie Fisher's performance in The Last Jedi and believes her performance in the movie was one of her best. "A great loss. She was a very witty girl and brilliant in her writing and quick entertaining manner that she would have. We were really unfortunate to lose her but also lucky to have this bit of Carrie in this film." "Going into the Post after Star Wars was like a deserved change of pace .It was lovely to be back working with Steven, I enjoyed it very much." So, Star War IX might be his last for the galaxy far far away, but there's always a chance he might return especially if Daisy Ridley is in the next trilogy. 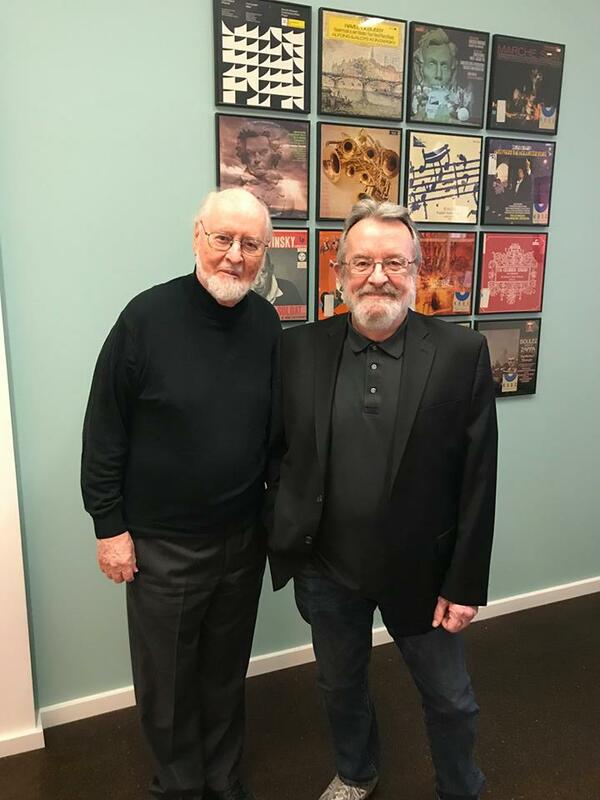 John Williams mentions in the interview that he was so impressed with Ridley's performance in The Force Awakens that his first question to Kathleen Kennedy after she rang him to see if he would work on The Last Jedi was "Is Daisy in it?"